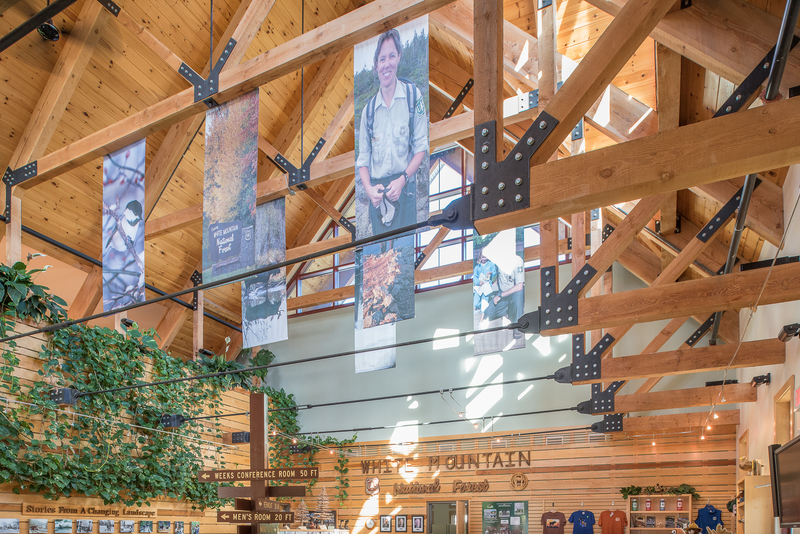 The White Mountain National Forest Administration Complex was opened in 2009. 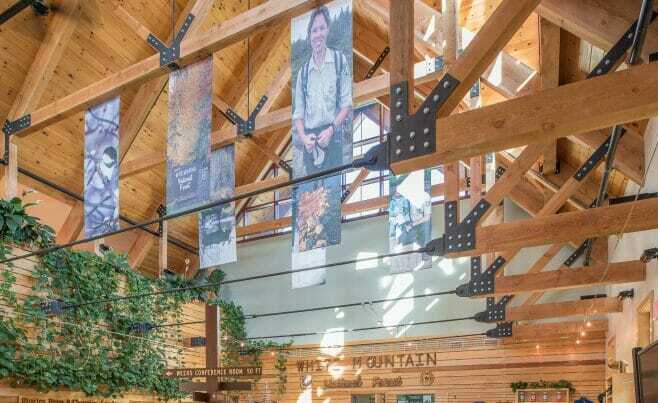 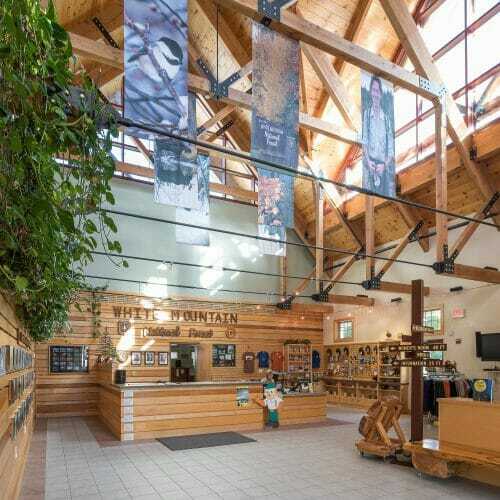 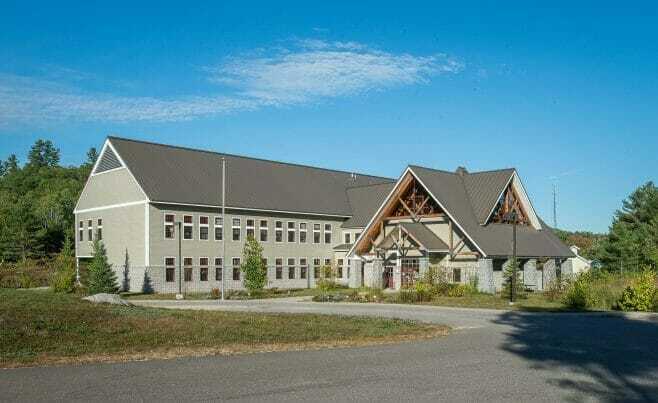 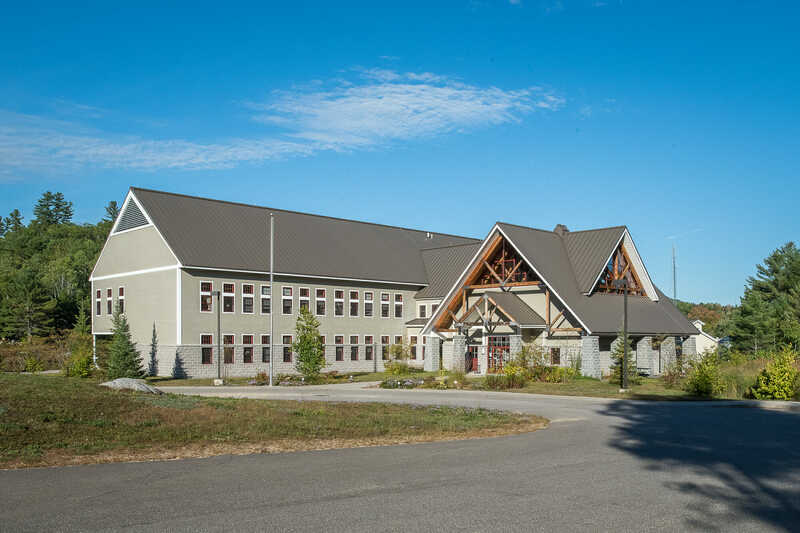 It is a campus-style facility, home to the Forest Supervisor’s Office and the Pemigewasset Ranger District Offices. 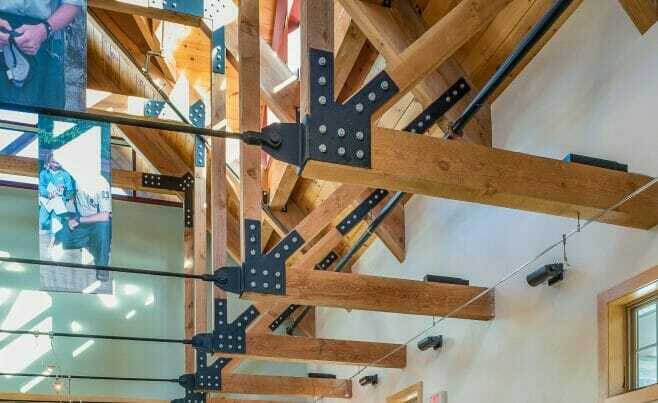 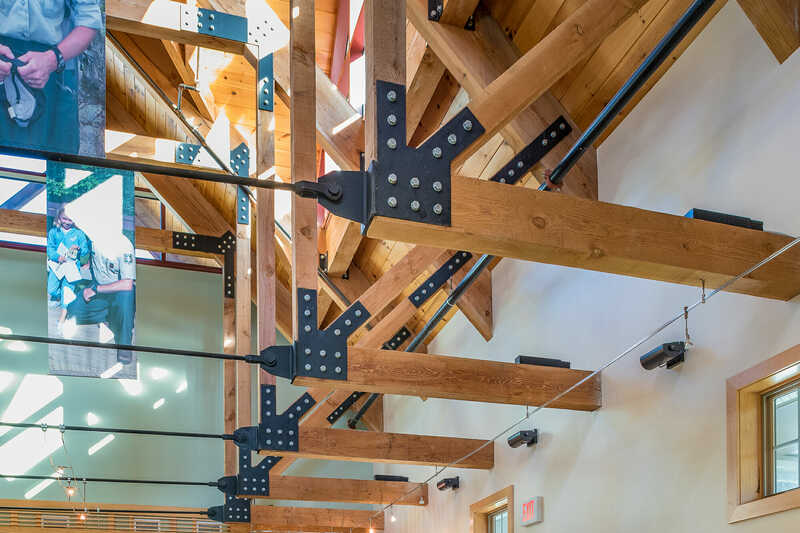 We worked with E. Bradford Gellert, Architect and P&S Construction on this heavy timber project. 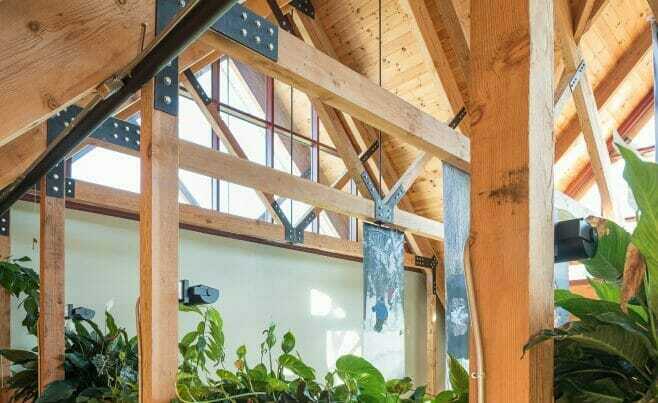 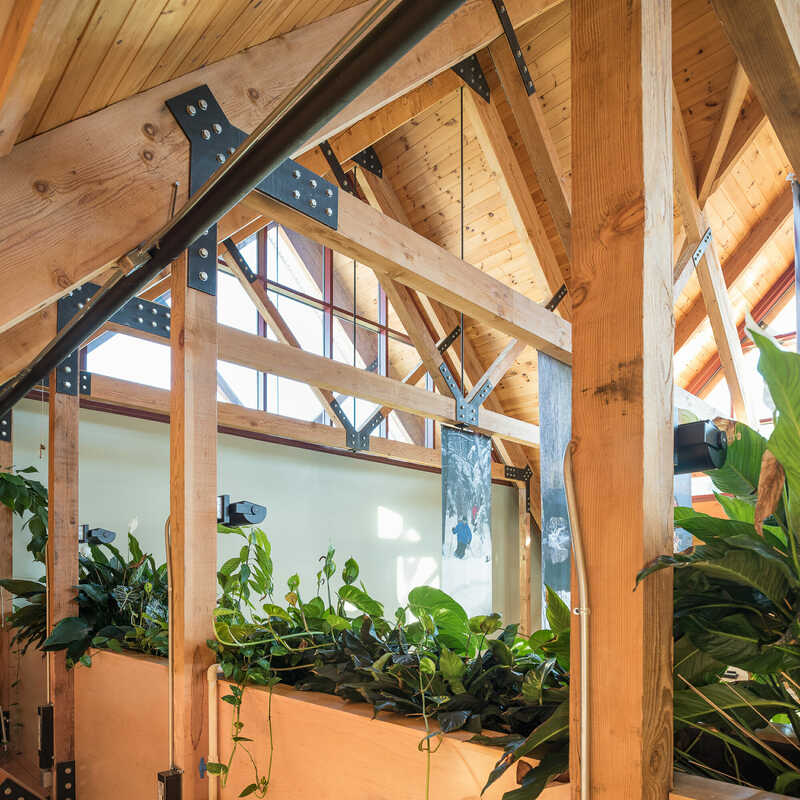 It features rough sawn douglas fir timbers and black steel gusset plates with tension rods. 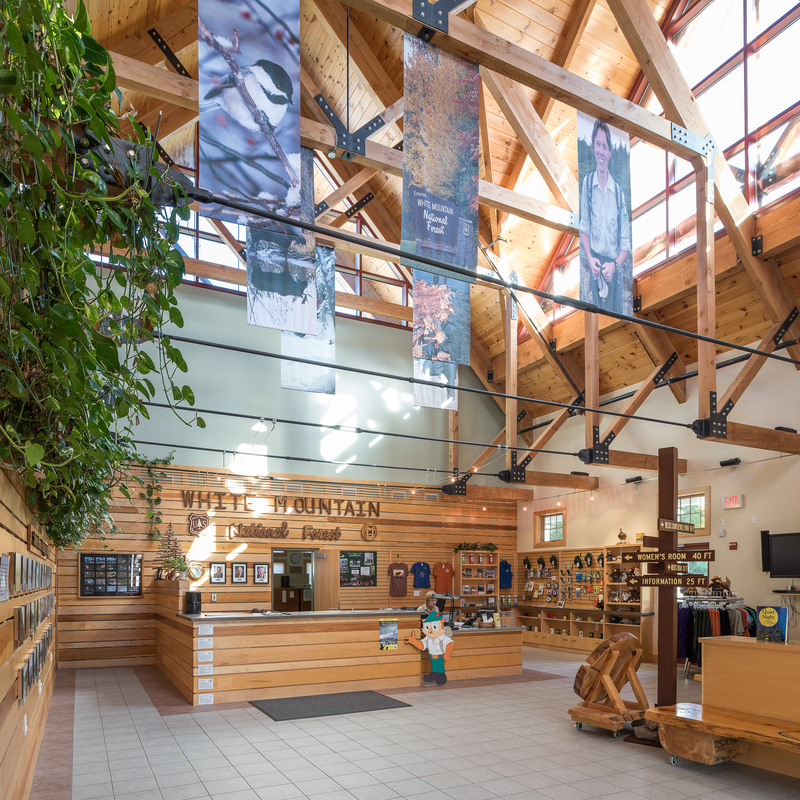 The Visitors’ Center is a lofty, open design which is full of natural light from crossing gable dormers.